Coral Springs, Fla. — The National Women Business Owners Corporation (NWBOC) grants NIH Research & Consulting (NIHR) the Women Business Enterprise (WBE) certification. WBE certifications are obtained by meeting strict and select criteria as outlined in NWBOC’s Standards and Procedures. 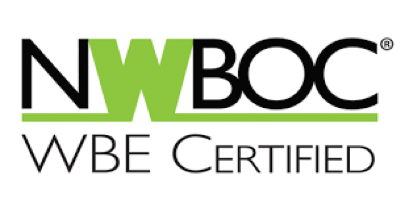 The NWBOC certification process is rigorous and vetted—more than 700 public and private sector individuals helped establish the standards and procedures of this certification review. Applicants provide detailed business information along with supporting documentation including staff and client testimonials. More than twenty years ago, NWBOC became the first organization to create a national certification program for women-owned businesses. Owned and managed by Cindy Kanstoroom and Robin Day, NIHR provides highly effective market research and consulting focused on lead generation services to the healthcare technology industry. NIHR boasts a 25-year track record of success and provides an unwavering level of service that creates effective strategic and tactical partnerships with their many long-term customers throughout the U.S. According to the State of Women-Owned Businesses Report commissioned by American Express OPEN in 2015, more than 9.4 million firms are owned by women in the U.S., employing nearly 7.9 million people and generating $1.5 trillion in sales. Women-owned firms account for 31 percent of all privately held firms in the country. “A long time in the making, we are pleased to have been awarded the WBE certification. Women couldn’t vote the year my grandmother was born and now our daughters can run an empire, run a country, run whatever they want! We are happy to have carved a small notch in that path by maintaining a successful business model that continues to fuel economic growth in the U.S.,” says Robin Day, Principal Managing Partner, NIH Research and Consulting. NIHR specialties include focused lead generation, client satisfaction campaigns, NPS® Net Promoter Scoring, event optimization, brand awareness, product implementation support, specialized market research, demand generation marketing, product validation. Kanstoroom brings over 30 years of experience to the highly specialized Health Information Systems industry. Kanstoroom helps clients maximize market research and lead generation campaigns with expert insights and viable solutions. Day has over 25 years of experience specializing in private, public and government healthcare. Day’s range of experience includes client case project management, program development, opportunity identification, client relations, workflow optimization, contract law, marketing communication strategies. 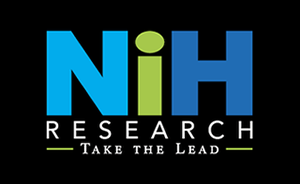 Founded in 1992, NIH Research & Consulting (NIHR) provides professional consulting, specialized market research and lead generation to the healthcare and healthcare information systems industries. NIHR’s educated industry experts develop and implement high-level marketing and sales support services. NIHR excels in delivering informative research and quality leads to clients, and has a proven track record of providing essential market insights to the highly technical healthcare industry. Learn more at www.NIHResearch.com.